Antenne Koblenzin one of the popular FM station which is broadcasting since 2004 , You can listen music , informative programs focus on popular music as well as local news with a focus on broadcast studio in Koblenz.The station reaches listeners in Koblenz 48 000 daily.The program broadcast 24/7 hours, which are produced from 6:00 clock 16 hours with about 15 employees. WDR4 station is located in Bad Oeynhausen, Germany , on air on frequency 90.1 FM live and it was established on 1 January 1984.It is broadcasting for many years mainly German popular music as Hit, Folk music and Operettas.It has now more the 3 million listeners, Target Group are from the 45-year-old. Triquency is basically for students of University of East Westphalia-Lippe and Detmold Academy of Music and it started its broadcasting services from 22 April 2005 at three frequencies in urban areas, Detmold , Lemgo and Hoexter.University Students can enjoy its live programs and also many more outside from the college.broadcasts 24 hours a day on the frequencies 96.1 MHz in Lemgo. Welcome to Radio Gütersloh , a station for the German community on which you can listen live best entertaining programs live in German language.Its genres is Adult Contemporary is on air on frequency 107.5 FM.For contacting purpose call on (05241) 9200-0. Welcome to radio Bielefeld which is a local station in the Bielefeld Germany.It started its broadcasting stream form 1 June 1991 after then it received his license from the LfM.Actually it emphasis on local News , local reporting requirements , traffic delays and notifications , latest local weather information, consumer tips and events and many more. Its genres are Adult Contemporary & Top 40-Pop broadcasting in German language. 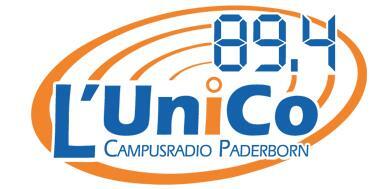 L’Unico FM is broadcasting on frequency 89.4 on genres Alternative in German language.It is located in Paderborn, NRW, Germany and for contacting purpose you can call on 891 5773 200.Listen programs like “Breakfast@L’UniCos” , Vorlesungsmuffel (Musik-Automation) and many more entertaining programs. Hertz is a station broadcasting from Bielefeld Germany since 6 December 2000 live stream 24 hrs a day and 7 days a week on frequency 87.9 MHz in the city of Bielefeld as well as you can listen its online streaming over the internet.Its original center is in the university building not in the telecommunications building.This is actually the tallest building in the city center of Bielefeld.Hertz encompasses many different genres of music like College, Indie & Alternative. BFBS Radio services are Army , Royal Air Force and Royal Navy and it is broadcasting to connecting the British Forces community.It is working in more then 20 countries in the world.Its programs are for every one and especially for British Forces.Its is fulfilling the requirements of the British government.Its genres are Adult Contemporary, Variety & Electronic-Dance from BFBS (UK) and located in Bielefeld, Germany. 1live webradio plays only top hits of the music , You can listen Local and world wide News on this station.You can also enjoy entertaining programs 24 Hrs a day.Listen top class music , enjoy Comedy shows , Actions programs as well as on official website get information about the station Team who are making programs for you.Its genres are Top 40-Pop and Euro Hits located in Lubbecke, Germany.